Yes, I want more sales. 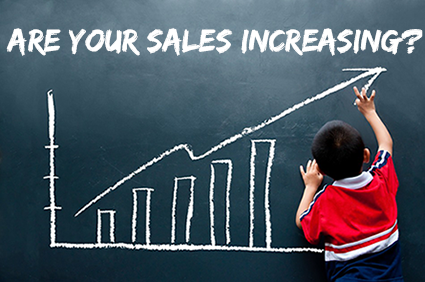 Increasing sales on your e-commerce Website is not a matter of just increasing more traffic. Without continually improving your Website conversion you are actually wasting your marketing dollars, decreasing your profits and lowering the sales per visitor. Website conversion is not a one time situation. Did you know that research shows that most Websites have only a 1% conversion rate. According to Eisenberg Holdings, companies typically spend $92 to bring customers to their site, But only $1 to convert them. Find yourself spending more money to get traffic without increasing ROI? Know that people are leaving your site without purchasing but not sure how to get them to buy. Afraid that site conversion means completely redoing your site? Make site changes that have little or no effect. Continually pay more and get fewer results. If you answer yes to the questions above, consider getting a second opinion about your Website. Develop methods and processes to increase return visits, cross selling, and referrals. Many times site improvements can be made with tweaking just a few critical areas. Other times your site may need more complex changes. In either situation the return on investment should be calculated and assessed. Get your site working for you. Get a site conversion assessment today.